Tours from World Tour Plan tend to sell out - travelers recommend booking in advance! I had the chance to take a quick trip to Bhutan, and I'm so glad I did and that I chose World Tour Plan to organize. The true highlight of the trip is the trek up to Tiger's Nest, which was challenging but not as difficult as I imagined it would be. The World Tour guide and driver (both named Tashi) were both kind, professional, informative, friendly, and accommodating. Whenever changes were needed to the schedule or itinerary, the guide walked me through the options and made recommendations, but always let me make the ultimate decision. I would love to visit Bhutan again, and would undoubtedly choose World Tour again in a heartbeat. December seemed like a perfect time to visit as there wasn't a huge number of tourists and the weather was mostly cool and crisp, with just a slight sprinkling of snow one day. Hi Jacqueline, Greetings from the team of World Tour Plan. Happy to see your positive feedback for our company and staff and iam so pleased to know that you really enjoyed your stay and hospitality that we had provided. Will surely give your regards to our guide and driver who were with you thorough your tour in Bhutan. Will definitely love to see you back in Bhutan for longer duration with your friends and family soon. We are back after two long week tour. Everything was way more than what we expected. Our guide was very knowledgeable and friendly and driver was experience at his service. We being very particular about food, we were taken to restaurant which suits our taste and ofcourse, food was taken care by us. We had a nice wonderful holiday to be precise experience for a life time. Point to note: if you are planning to visit in and around January, make sure to carry more warm clothes,hat, socks and the last two to three pair of shoes. Weather seems unpredictable. 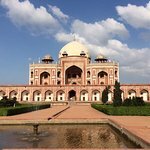 We are just back from a week long trip to India, Delhi.Tour went just the way we wanted, very relaxing and rejuvenating for that I would like to thank our guide Gokul and driver Prakash for keeping itinerary flexible. World Tour Plan services highly recommendable. Majestic himalayas, magnificent fotress and vibrant biodiversity greeted me the very moment i landed on the Bhutanese soil. My trip to Bhutan is a casket of memories that i will cherish in my life. My tour of Bhutan was supplemented with utmost hispitality and case by my agent.they took intensive care to arrange my lodging and my guide made sure to make me comfortable and worthwhile in an alien world. feel that love,everytime one breathes in,I could feel it.There was something totally different in the air,I don't know how to describe it but it was rejuvenating. liked their arts and crafts.I never knew there were so many subtle meanings behind every piece of art. To the eyes that are accustomed in seeing sky scrapers and metros.A visit to this country will make one realise what one is missing amidst head on civilization. I will always be grateful to my agent,World Tour Plan and my guide for making my trip more than just a mere visit but a rich experience to cherish forever.It is a gift that I want to present my family with a next visit to this land of happiness. As I was intrigued to revisit the land of the Thunder Dragon,a place of bliss. I made my journey back to this place with my family. At the beginning my children were not interested to visit as they thought Bhutan would be a boring place to spend their vacation however upon reaching there they were also bewitched by the charm of the country. And like before my agent had made meticulous preparation for our stay.There was no lack of hospitality and courtesy when it came to journeying this virgin kingdom of happiness. My parents were also deeply touched by the environment and the Bhutanese people who unhesitatingly spared a warm smile. What else can one aspire for contentment if joy meant to reside only in the bustling cities and man made architectures.If one visits this county then they are definitely going to get astounded by the wonders created by the nature. I will always be indebted to my agent and my guide for taking their responsibility of host beyond only business and personal means. And lastly I would like to thank them for all the extra troubles they took for making our stay as comfortable as our home and guiding us into the indepth beauty of their country's subtle culture.We could give nothing extra but ofcourse took a heap of memories and knowledge about this beautiful country. Me and my family would love to visit this place every time we get freaked out by our busy chores,as this is the place for instant relaxation and blissful retreat. Wow, thanks so much for taking the time to share your kind comments. That’ll put a smile on my face for the rest of the day! It was a pleasure to have you. The staff and I are so happy we could make your stay so wonderful. This is the second time I visited Bhutan with World Tour Plan. As always world tour plan services were outstanding. We used same guide ( Mr. CHENCHO). He is very knowledgeable and helpful and friendly person. This time our tour was for 7 days. We visited Thimphu, Paro and Punakha. We asked Chencho to keep our tour slow so that we can go in our own pace. Attended local festival, stayed in farm house, participated in cooking local food, played local games and ofcourse hot stone bath. Thank you World Tour Plan for the great services. Highly recommended. We would love to come back again. May be in winter month to play with the snow. Me and my family had a wonderful arrangement made in Delhi by world tour plan.I was worried as it was my first time trip with my 6 months old boy,however we were very happy with the arrangement made by them.I would recommend World tour plan for people who are planning for a holiday in India. Thank you so much for writing such a beautiful review regarding our company " World Tour Plan". As discussed hope to see you all in Bhutan soon. If you have any friends and relatives who would like to visit Bhutan do contact us. Will be happy to plan their holidays as per their requirement.